Ohgoodness, I am ZONKED. DONE. FINITO. This last weekend... over the span of 3 days I had four weddings and a funeral 3 Brides, 2 Weddings, 1 rehearsal dinner and 1 Bridal Shower. Did I mention that the Rehearsal Dinner and one of the weddings was 5 hours South of me? It was a busy, busy, lots-o-driving weekend. But on the upside of that, there was a lot of brilliant food, a ton of delicious wine and so many great conversations with old friends and new friends. I witnessed so much love between families and partners that I couldn't help but forget the stress of the schedule; the rush as I scaled the state to make it to everything AND the annoyance of changing into a dress at a truck stop where I felt like I was about to be raped and/or murdered. 1. A Later-in-life love union that brought together a multitude of families and it took place on a Vineyard in the rolling, peace-loving hills of Ashland, Oregon. People were barefoot, the ceremony was short, eclectic and loving and the band was a hodgepodge of local artists. 2. A traditional Middle Eastern wedding downtown in the Portland Art Museum. The women were beautiful beyond belief, the gowns exquisite, the Bride was captivating and the traditional Muslim music and dancing was to-die-for! I will take you into those worlds in the coming days. For now, I am going to wash my face, put on some ugly ripped tank tops and lived-in sweats, crawl into bed and sleep, sleep, sleep so that tomorrow doesn't turn into what today was... which was basically my weariness manifesting itself into a snippety b*tch (sorry Jerry at the dry cleaners... I shouldn't expect my clothes to be done a day early). Thankfully, my friend Elena is always good for some "i hate my life, f*ck my job, I'm too tired to function" emails back and forth- made my day. I am so excited to read! so go rest up and come back and blog!! Wait - who was the 3rd bride? Noor, Joel's Mom and who else??? oh my gosh, u had quite the schedule, caitlin!! 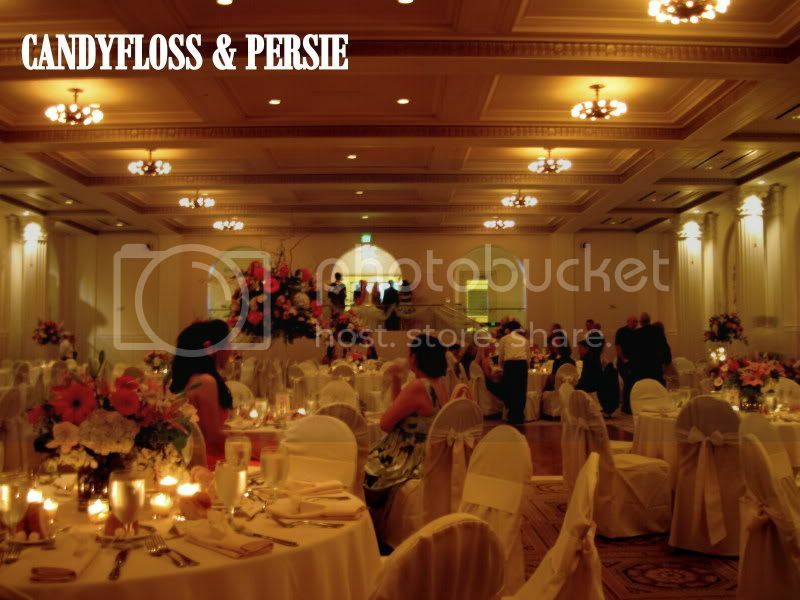 despite the hecticness, it sounds like u had a great time:) wow, the venue for the first wedding is gorgeous! Wedding season is definitely upon us! Most of my friends are married off at this point, but I remember going to multiple weddings every summer, several years in a row. One of my best friends is getting married in less than 2 weeks and I can't WAIT! I love Ashland. The Shakespeare Festival there is fabulous, and the city is just beautiful. Such gorgeous scenery! And the scientist's family is partly from there, so we now have a free place to stay if we ever want to get down there! Glad you had a fun, albeit crazy, weekend! What a busy schedule!I am looking forward to reading more about these weddings and of course I am looking forward to seeing pictures and tons of them too. =) Have fun! Post pictures super soon! I want to see and hear all about the weddings! Hehe, you were leaving a comment on my blog just as I was reading this post! It sounds like you had a manically crazy (but fun...!) weekend. I hope you recover soooon and are back to your perky, happy, beautiful self! :) Lucky! I get to go to two weddings this summer, and I'm so excited. Elena is an excellent companion for that. So looking forward to your wedding posts! Everyone needs a 'I hate the world' bitchy day every now and then! Fun weekend! I love multiple wedding weekends. You best post pictures dawl! Oh my gosh, that's crazy!! Good thing you didn't have your own wedding in the mix! ;-) What would have been really nuts! But is this it for the year or are there more coming?? Whoa. That's a whole lot of fun and craziness in one weekend. Sounds like a blast! i've finally learned to appreciate weddings. Good food, good friends and lots of alcohol = good times! Wow Caitlin, thsi does sound like an amazingly exhausting weekend! Yet it's such an adventure, dont you find? I always thougth of such busy days as of blessings - I noticed I get so much more done when I'm pressed for time like that and end up remembering it so much better too haha And wow, you are so rigth about those weddings being totally different - just those two pics say million words about each, both are beautiful, the sights in the first picture are totally breathtaking though!!! Holy busy! I'd be dead tired too if I were you too! Though it sounds like chaos, it definitely sounds worth it all! What beautiful pics for both weddings! ..and ..when you busy times just seems to go so fast ,but you can do things even when in rush ..too much time and waiting sometimes is not so good ..
..happy you for get a chance going to the wedding , I supposted to go to my cousins wedding last saturday but , his bride to be cancelled the wedding 2 weeks before in very horrible way - lets just say my cousin is the one with broken heart ..it just makes you think if there is true love cherish that ..
..anyway , hope you having a great day ..
That's quite a schedule, dear Lady! Wow - talk about a whirlwind! Those are two very very different weddings, but equally as charming in their own ways, huh? GF I'd be UNDER the bed in my sweats and ripped up shirts. yikes! Holy cow, that sounds like an insane weekend. I love your ripped tank and live-in sweats idea...for some reason that's always the best way to relax. For me it's bf's tshirt and shorty shorts. So comfy. Can't wait to hear details! I am sure your friends appreciate all of your sacrifices to be in 10 places at once. 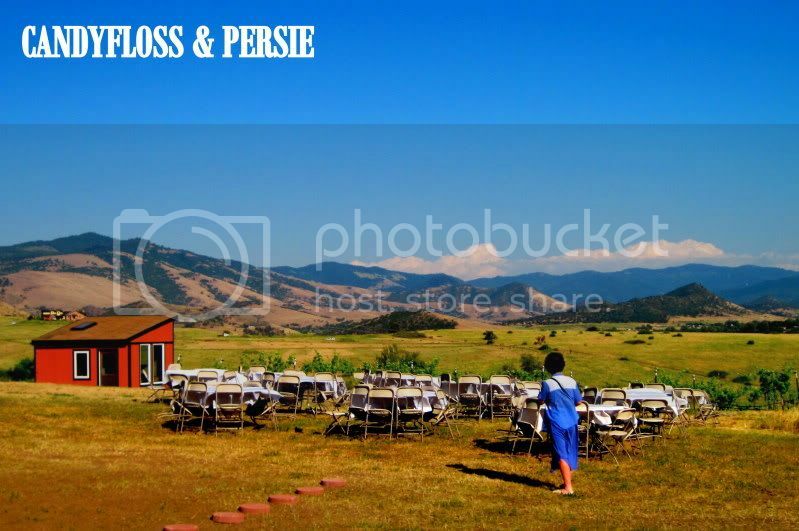 I love the view of the outdoor wedding in the photo. Thanks for sharing. Wow you sound like you had quite the busy schedule! But it sounds like fun, who doesn't love weddings! Hope you're getting rested up. I can't wait to find out more about all the excitement you had. Can't wait to hear more. Now go catch some ZZZzzz's. soo pretty! That room is so romantic and girly! OMG! You have to email me with some hot tips on how you managed it...my new book is on bridesmaids and weddings and what to do when there are too many weddings in one weekend. Must have been fun though! I regret, therefore I am.